Peter Barnes was born in Ballarat, Victoria, in 1953. His education included the Queen Street Public Primary School, followed by five years at Ballarat Central Technical School, and he then completed one year at the School of Mines Ballarat. He moved to Melbourne to work in 1972. To cut a long story short, Peter’s career eventually saw him attain the roles of general manager and creative director with leading advertising agencies. 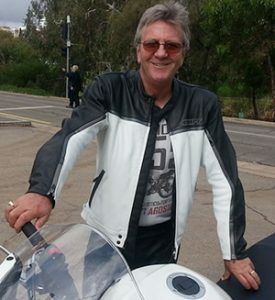 Peter has lived and worked in the Northern Territory and now resides in South Australia. The heroes song was created from Peter’s experience in visiting the Adelaide River War Cemetery (114 kms south of Darwin) in the Northern Territory and seeing the graves of Australians who gave their lives in the service and defence of their country. Peter felt he should do something within his capabilities to honour the memory of such incredible sacrifice. Click here for the Youtube Channel with videos relating to the song. This channel has over 2 million video views. Click here for more Australian songs initiated by Peter Barnes.